Why Acrobats are a great choice for your event. Our Acrobats in Dubai are training on a daily basis so their tricks are spectacular and on point for any event. They can perform acrobatic entertainment and choreographed tricks as a group, or freestyle solo. A great surprise for any event. Most of our Acrobats have been training since a young age at acrobatic classes and go on to perform in circus’s around the world. Their technique is a range between circus skills, acrobatics and dance, as a result of this, to create performances that engage and amaze audiences. Our Acrobatic Entertainment are all uniquely different. We have groups who have trained together for years, therefore creating some incredibly strong shows for large scale events. Our solo performers have created some tricks within a dance routine and can also freestyle their skills depending on the type of the event. Acrobatics from the greek word “walk on tiptoe, strut” is a performance including balance, agility and motor coordination. Acrobats can be found in many sporting events, martial arts, ballet and diving just to name a few. Acrobats have been performing for years, almost 2500 years to be exact. Performances including rope walking, pole climbing and five tables were some of the first to be seen all over china. 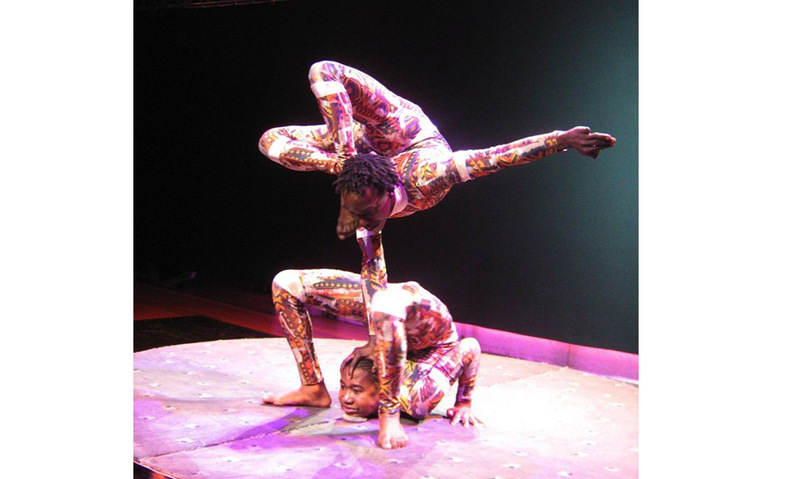 Acrobatic shows have since modernized through the years, and seem to include different elements therefore making it a popular performance for audiences all over the world.